Match ends, Lyon 0, Lorient 0. 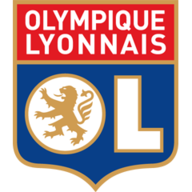 Second Half ends, Lyon 0, Lorient 0. Attempt saved. Maxime Barthelme (Lorient) left footed shot from outside the box is saved in the bottom right corner. Assisted by Lamine Gassama. Attempt blocked. Romain Philippoteaux (Lorient) right footed shot from outside the box is blocked. Corner, Lyon. Conceded by Francois Bellugou. Alexandre Lacazette went off injured after Lyon had used all subs. Alain Traoré (Lorient) wins a free kick on the right wing. Romain Philippoteaux (Lorient) wins a free kick on the right wing. Attempt missed. Samuel Umtiti (Lyon) header from the centre of the box is close, but misses to the right. Assisted by Rachid Ghezzal following a set piece situation. Francois Bellugou (Lorient) is shown the yellow card for a bad foul. Foul by Francois Bellugou (Lorient). Substitution, Lyon. Rachid Ghezzal replaces Claudio Beauvue. Foul by Romain Philippoteaux (Lorient). Substitution, Lorient. Alain Traoré replaces Benjamin Jeannot. Corner, Lyon. Conceded by Benjamin Lecomte. Attempt saved. Arnold Mvuemba (Lyon) right footed shot from outside the box is saved in the top right corner. Assisted by Nabil Fekir. Foul by Mehdi Mostefa (Lorient). Substitution, Lorient. Maxime Barthelme replaces Raphael Guerreiro. Mehdi Mostefa (Lorient) wins a free kick in the defensive half. Substitution, Lyon. Jérémy Morel replaces Rafael. Attempt missed. Nabil Fekir (Lyon) left footed shot from the right side of the box is close, but misses to the left. Substitution, Lorient. Romain Philippoteaux replaces Benjamin Moukandjo. Foul by Henri Bedimo (Lyon). Lamine Gassama (Lorient) wins a free kick in the defensive half. Corner, Lyon. Conceded by Wesley Lautoa. Attempt missed. Nabil Fekir (Lyon) left footed shot from outside the box is high and wide to the left. Henri Bedimo (Lyon) wins a free kick on the left wing. Foul by Didier Bouanga (Lorient). Attempt missed. Arnold Mvuemba (Lyon) right footed shot from outside the box is high and wide to the right. Assisted by Jordan Ferri. Substitution, Lyon. Arnold Mvuemba replaces Steed Malbranque. Jordan Ferri (Lyon) is shown the yellow card for a bad foul. Didier Bouanga (Lorient) wins a free kick in the attacking half. Foul by Alexandre Lacazette (Lyon). Lamine Gassama (Lorient) wins a free kick in the attacking half. Attempt missed. Corentin Tolisso (Lyon) right footed shot from outside the box is too high. Samuel Umtiti (Lyon) wins a free kick on the left wing. Benjamin Jeannot (Lorient) wins a free kick on the right wing. Attempt blocked. Jordan Ferri (Lyon) right footed shot from the centre of the box is blocked. Assisted by Nabil Fekir. Second Half begins Lyon 0, Lorient 0. First Half ends, Lyon 0, Lorient 0. Vincent Le Goff (Lorient) wins a free kick in the defensive half. Attempt missed. Claudio Beauvue (Lyon) right footed shot from outside the box is high and wide to the right from a direct free kick. Claudio Beauvue (Lyon) wins a free kick in the attacking half. Attempt missed. Alexandre Lacazette (Lyon) header from the right side of the box is too high. Assisted by Jordan Ferri. Attempt saved. Benjamin Moukandjo (Lorient) header from the centre of the box is saved in the centre of the goal. Assisted by Didier Bouanga with a cross. Attempt blocked. Raphael Guerreiro (Lorient) left footed shot from a difficult angle on the left is blocked. Assisted by Walid Mesloub with a through ball. Corner, Lorient. Conceded by Milan Bisevac. Attempt missed. Alexandre Lacazette (Lyon) right footed shot from outside the box is too high from a direct free kick. 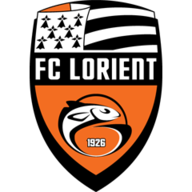 Wesley Lautoa (Lorient) is shown the yellow card for a bad foul. Foul by Wesley Lautoa (Lorient). Walid Mesloub (Lorient) wins a free kick in the defensive half. Attempt missed. Claudio Beauvue (Lyon) left footed shot from outside the box misses to the left. Attempt saved. Claudio Beauvue (Lyon) header from the centre of the box is saved in the top left corner. Assisted by Nabil Fekir with a cross. Corner, Lyon. Conceded by Lamine Gassama. Attempt blocked. Benjamin Jeannot (Lorient) right footed shot from the right side of the box is blocked. Assisted by Raphael Guerreiro. Attempt missed. Nabil Fekir (Lyon) left footed shot from outside the box is high and wide to the left. Assisted by Alexandre Lacazette. Attempt blocked. Benjamin Jeannot (Lorient) right footed shot from outside the box is blocked. Assisted by Didier Bouanga. Benjamin Jeannot (Lorient) wins a free kick in the defensive half. Corner, Lyon. Conceded by Benjamin Moukandjo. Attempt blocked. Corentin Tolisso (Lyon) header from the centre of the box is blocked. Assisted by Nabil Fekir with a cross. Attempt saved. Henri Bedimo (Lyon) left footed shot from outside the box is saved in the top right corner. Assisted by Corentin Tolisso. Attempt saved. Alexandre Lacazette (Lyon) header from the centre of the box is saved in the bottom right corner. Attempt saved. Alexandre Lacazette (Lyon) right footed shot from the centre of the box is saved in the bottom right corner. Corner, Lorient. Conceded by Anthony Lopes. Attempt saved. Raphael Guerreiro (Lorient) right footed shot from the centre of the box is saved in the top centre of the goal. Attempt missed. Didier Bouanga (Lorient) left footed shot from the left side of the box misses to the left. Attempt missed. Nabil Fekir (Lyon) left footed shot from outside the box is high and wide to the left from a direct free kick. Attempt saved. Steed Malbranque (Lyon) header from the centre of the box is saved in the centre of the goal. Assisted by Jordan Ferri. Attempt missed. Corentin Tolisso (Lyon) right footed shot from the centre of the box misses to the left. Assisted by Nabil Fekir with a cross following a corner. Attempt blocked. Nabil Fekir (Lyon) left footed shot from outside the box is blocked. Assisted by Rafael. Attempt missed. Didier Bouanga (Lorient) right footed shot from the right side of the box is close, but misses to the right. Attempt saved. Benjamin Jeannot (Lorient) right footed shot from outside the box is saved in the bottom left corner. Assisted by Benjamin Lecomte.